It’s the time of the year to enjoy plentiful strawberries, and The St. Regis Osaka is holding its fifth strawberry buffet through May 31 under the theme “Marche” at French bistro Rue d’Or located on the first floor. At the buffet, guests will immediately feel like they have entered a strawberry market. 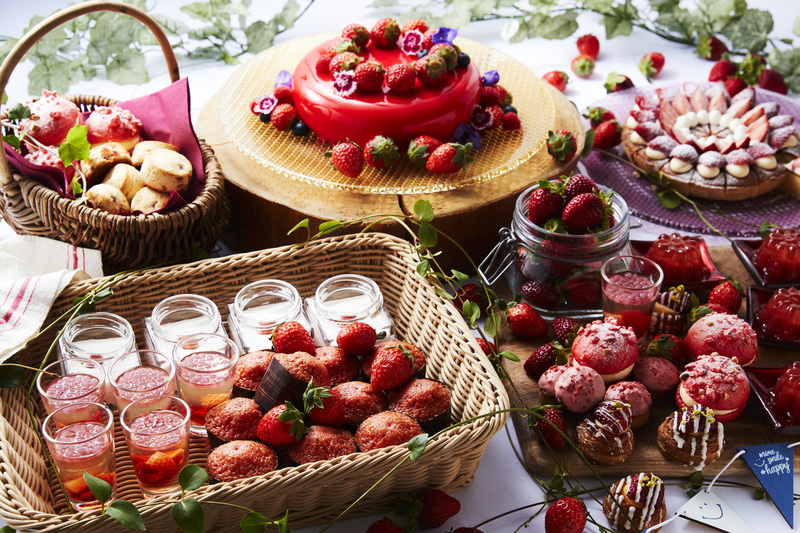 With more than 30 unique creations of strawberry sweets and 10 kinds of strawberries from all over Japan, the freshness and sweetness of the strawberries will immediately captivate the hearts of guests. The menu includes such desserts as strawberry chiffon and strawberry New York-style cheesecake, as well as savory treats such as homemade strawberry escabeche (dish cooked in an marinated mixture) and salmon marinade with strawberry canapes. 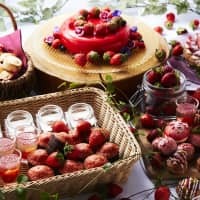 Starting from a welcome drink named Strawberry Passion, the buffet also presents various drinks crafted with strawberries and a selection of tea. Guests are invited to decorate strawberry treats with a choice of ingredients available at the event. They can then post a picture to Instagram with the hashtags #stregisphotocontest and #strawberrymarche to win a present. Priced at ¥4,670 per person, and ¥2,335 for children between 4 and 13 years old, the buffet is served three times a day; 11:30 a.m. to 1 p.m., 1:30 to 3 p.m. and 3:30 until 5 p.m. Menu subject to change depending on ingredient availability. The St. Regis Osaka is directly connected to Honmachi Station. For more information or reservations, access www.stregisosaka.co.jp or call 06-6258-3333. The season of romance is near, and there is no better way to celebrate than with delectable, photogenic sweets to share with that special someone. From Feb. 1 to 14, Pullman Tokyo Tamachi will celebrate Valentine’s Day with three heart-themed sweets, each of which is sure to sweep a loved one off their feet. Among these delicacies is Pillow d’Amore (¥750), a confection of heart-shaped strawberry mousse topped with red mirror glaze and surrounded by bavarian vanilla, strawberry sponge cake and crunchy strawberry chocolate feuillantine (a crispy, sweetened crepe). Also available is Mon Cheri (¥1,900), a red heart made of strawberry mousse and strawberry sponge cake with crunchy strawberry chocolate feuillantine at its center. Topping off the Valentine’s Day celebration are heart-shaped lollipops called Je t’aime (¥500). From Mar. 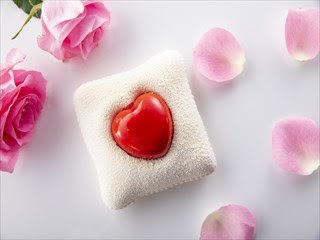 1 to 14, the hotel will serve up rose-shaped sweets called Rosa (¥700) for White Day, the March counterpart of Valentine’s Day. Available in three different flavors and colors — bavarian raspberry (red), white chocolate (white) and strawberry mousse (pink) — these sweets offer the perfect way to return the affection. All prices exclude tax. Pullman Tokyo Tamachi is directly connected to Tamachi Station. For more information and reservations, access https://www.pullmantokyotamachi.com/ja/ or call 03-6400-5855. Famed for its bewitching masks and enchanting baroque atmosphere, the Carnival of Venice is one of the world’s most renowned festivals. 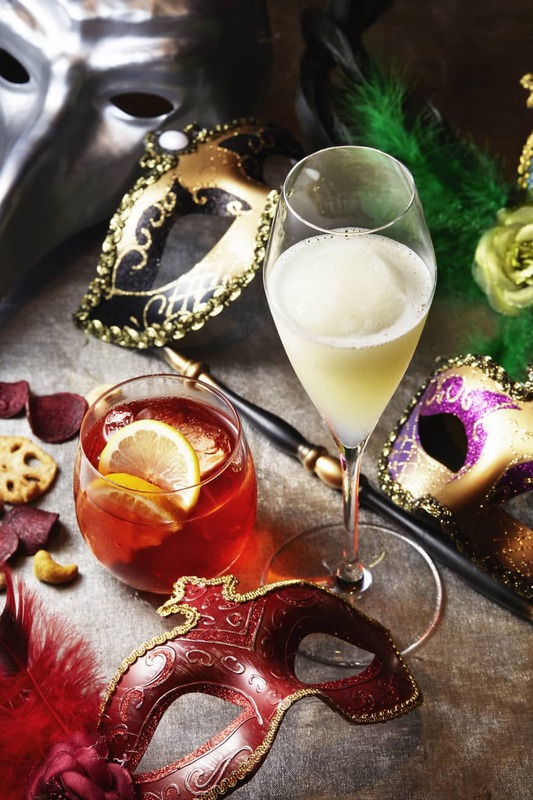 From Feb. 22 to 24, the magical carnival will manifest in Osaka for a three-day Venetian Night event (¥1,500 per person; service fee not included) at Bar Adee on the 20th floor of the InterContinental Osaka. From 7 p.m. to midnight, staff masquerading in masks and costumes will treat guests to special cocktails Premium Italian Negroni and Sgroppino, inspired by Italy’s City of Water. Projection mapping will light the bar’s interior in vibrant color, giving life to an enchanting ambience for guests to enjoy while looking out on the beautiful Osaka skyline. On the final day, festivities will conclude with a raffle in which guests can win hotel and meal vouchers. The bar will also have an Instagram campaign, the winner of which will receive a Sunset Hour Plan for two that includes appetizers, a main dish, dessert and 90 minutes of free-flowing drinks. Guests can upload a photograph or video from the event with the provided hashtags for a chance to win. The InterContinental Osaka is directly connected to Umeda and Osaka stations. For more information or reservations, access https://www.icosaka.com or 06-6374-5700.